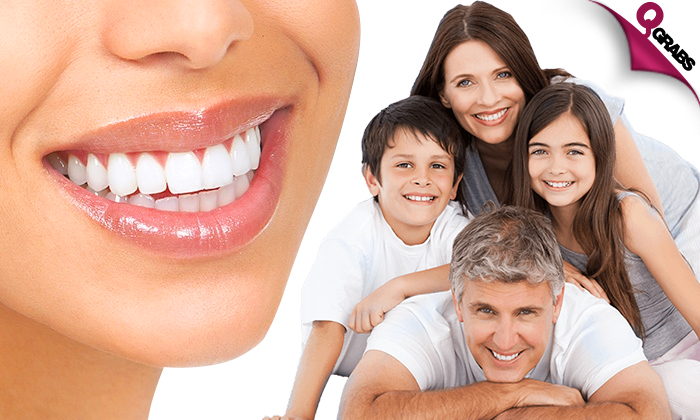 Consult with a professional to ensure your teeth’s health. Also get an x-ray for an all-round check up & overview of your mouth’s condition. Polish your teeth to remove stains caused by tea, coffee and smoking. Receive oral hygiene instructions to keep them cleaner. LED technology is 40% more effective than non light activated system. Philips Zoom is available to ensure optimum safety and comes in different strengths to fit your lifestyle and sensitivity. Clinically proven to whiten teeth up to 8 shades lighter. Up to 4 cycles (approx 20mins each) of Philips Zoom whitening in a 90 minute session. Gums carefully protected with a special covering. Hydrogen peroxide breaks down the molecular bonds which cause stains on your teeth. Blind ‘Em With Your Smile with up to 65% off! The Marble Medical Center was established to provide excellence in medical services experience for the existing and the generation of Qatar citizens and increase access to comprehensive dental care and its importance in our life and the life of a regular citizen. As a world-class clinic, their services are provided by highly skilled and graduated dentists trained and supervised by the most expert recognized University professors. At the Marble Medical Center they have access to the latest equipment and technology, which allows them to provide the highest standard of service and convenience. As one of the most innovative dental clinics in Qatar they are unique in our ability to offer comprehensive general dentistry services, as well as services in most of specialty areas in one location.